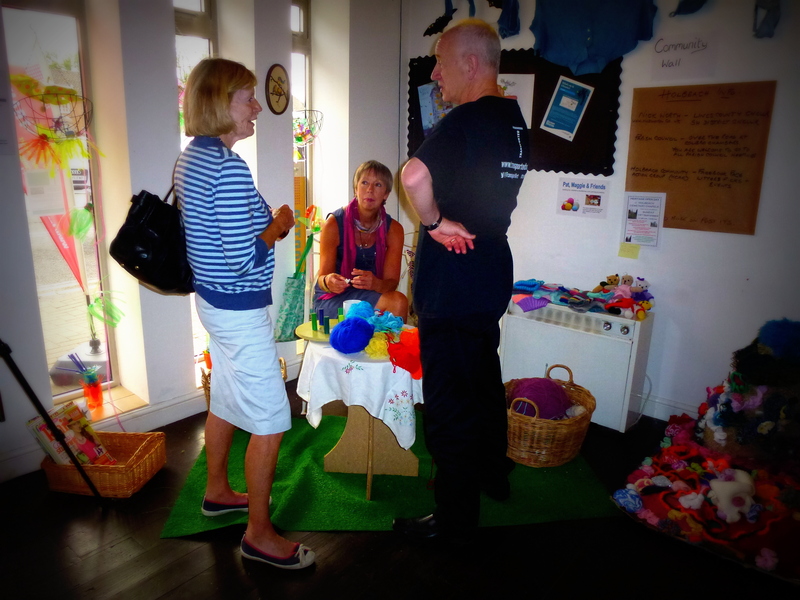 As an engagement tool knitting works…..it’s familiar, non threatening and encourages conversation; while your hands are busy with the yarn your brain is free to wander. And that conversation is often linked to the person who first taught you to knit, often a grandparent. Children love stories and they are drawn to the soft voices of those who have experienced a great deal of life and the patience that comes with contentment and the time to share . 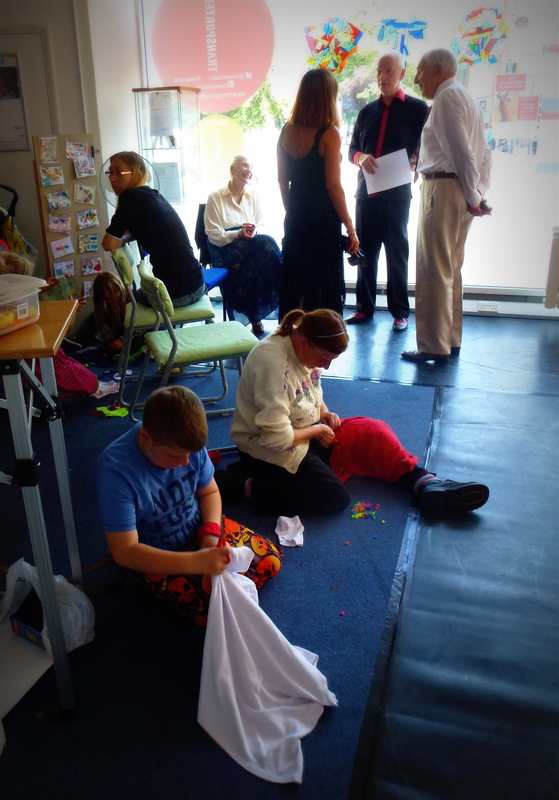 Obviously I’m stereotyping….it’s not always like this, but in my experience, if you put a few knitting grannies and a roomful of children together, you will have an amazing skill and life sharing experience! And so it was in the Boston empty shop (and Holbeach, but this particular event took part in the larger, busier, town location). I was delivering a knit and crochet knit in….anyone was welcome to sit, drink tea & squash, nibble biscuits and click their needles. Those who couldn’t knit would be helped, those who had forgotten to cast on, would be shown and those who wanted to venture into the strange and intimidating crochet world, would be supported. I had huge French knitting reels for children whose hands were too small to manage the needles and plenty of soft wool for finger knitting when techniques became just too much. And for those experts who thought they had met and conquered all the challenges knit and crochet could present…..there were the extreme knitting needles! They were all friends within minutes; swapping stories and problems, discussing wool quality and bemoaning the lack of good wool shops and intuitively knowing when support was needed. And then it happened….one particular moment that sent me running for the video camera, a moment so special it had to be documented. A mother and her two daughters, about 7 & 9 years had come to the shop, they wanted to practise their knitting. I had been helping an older lady to crochet and left her to concentrate on teaching one girl to cast on, moving on to teach the other. I turned to check whether the first girl was doing OK. She’d obviously got fed up with waiting for me and had moved on to seek help elsewhere…the older lady learning crochet had put her work down, the two were totally engrossed in their own world, one very patiently helping the other to get to grips with the awkward skill that is knitting!